Owning a private island is something very few people can even dream of. But some of the super-rich not only own a slice of paradise, they’ve also managed to turn these exotic destinations into a lucrative business opportunity. L’Oreal billionaire heiress Liliane Bettencourt, for example, recently made headlines after selling her private island in the Seychelles for $60 million. While Oracle co-founder Larry Ellison’s half a billion dollar purchase of Hawaii’s sixth largest island in June is considered to be one of the most expensive deals in history. We look at eight business tycoons who own private islands around the world. Our list of islands ranges from popular Caribbean island getaways to some of the most remote destinations — all in the quest for paparazzi-free privacy. So, which billionaires own some of the world’s most expensive private islands? Tech titan Larry Ellison’s purchase of 98 percent of Hawaii’s sixth largest island — Lanai — is considered among the most expensive in the world. Ellison — the third richest person in the U.S. and sixth richest in the world according to Forbes — bought Lanai in June from David Murdock, the billionaire behind Dole Foods. The 141 square-mile island is known for its pineapple fields and is home to 3,000 people. Tourists visit the island for its two Four Seasons resorts, golf courses and luxury housing. Oracle co-founder Ellison now owns the two luxury resorts as part of his share of the island, while the remaining two percent is owned by private residents and the local government. As part of the sale agreement, former owner Murdock retains the right to develop a 200-megawatt wind power project on northwestern Lanai. That has faced stiff resistance from locals concerned about the operation disturbing archeological sites and displacing native birds. Residents have been vocal in their demands that Ellison respect the island’s native history and artifacts in his future development plans. Virgin Group’s Richard Branson bought Necker Island in the British Virgin Islands for about £180,000 in 1978 , and the island is now worth an estimated $100 million. The flamboyant British billionaire turned the 74-acre island into a luxury retreat in 1984, with Balinese style houses run by 60 private staff. The resort can provide accommodations for up to 28 people, and individual rooms for a week-long gateway can cost up to $35,000. Renting the entire island reportedly costs over $50,000 a night. The island also has more than 200 flamingos; and, for a daily fee of $2,500, guests can go underwater on a three-person submarine called the Necker Nymph. Some famous celebrities who have tied the knot on the exclusive island include Branson and wife Joan, and Google co-founder Larry Page who married Lucy Southworth in 2007. Necker Island made headlines in August last year when British actress Kate Winslet and Branson’s family were among guests that escaped uninjured from a major house fire caused by a lightning strike during a tropical storm. Media mogul Ted Turner, who is one of the largest private landholders in the U.S., bought St. Phillips Island, off the South Carolina coast in 1979 – a year before he launched CNN. The 5,512 acre-island of marsh and woodlands was a perfect fit for Turner, who is known for buying land and restoring it to its natural habitat. The purchase also included a 298-acre landing area on neighboring St. Helena island, which is inhabited by a group of Gullah descendants. The area was a communal refuge for this group of African Americans, who have maintained vestiges of African speech and customs, where they could hunt, fish and gather without restrictions. A dispute over the land resulted in a lawsuit by Turner , who eventually dropped the suit and donated 68 acres of the disputed property to the group in 2002. The St. Phillips island remains private and is under the watch of a caretaker. Billionaire twins David and Frederick Barclay bought the island of Brecqhou in the English Channel Islands in 1993 for $4.3 million. The brothers, British businessmen whose empire includes The Daily Telegraph newspaper and The Ritz hotel, went on to transform the 80-acre island with gardens, vineyards, a pub, and a village that has a chapel. About 190,000 trees, shrubs and flowers have been planted on the island, which is home to 2,000 species of animals. The brothers also built a castle-like stone mansion with a helipad. The getaway, 80 miles off the U.K.’s southern coast, is the perfect getaway for the 77-year-old Barclay twins who guard their privacy: the most recent photograph in circulation for the billionaires is from 2000, when they were knighted for charitable work. This year, the island’s gardens opened for day trips for guests staying at one of the brothers’ luxury hotels in neighboring Sark Island. In recent years, the twins have made headlines over legal disputes with the Sark government. They own several businesses on the island, including hotels and a construction company. Microsoft co-founder and billionaire investor Paul Allen listed Allan Island, which he bought in 1992, for sale in August last year at $13.5 million. The 292-acre island has been on and off the sale block since 2005, when the initial asking price was $25 million. The island, named after a Navy hero, is located in the San Juans archipelago in the Pacific Ocean, off the coast of Anacortes, Washington. Allen had reportedly bought the island to build a vacation home, but instead purchased land on nearby Lopez Island in 1996 to build the home. The island is mostly underdeveloped with just a log caretaker’s cabin, a dock and a 2,400 feet grass airstrip. And there’s a big drawback: the island has no electricity, and it would cost a reported $3 million to pipe power in , according to the island’s property agent. In a bankruptcy court auction in 1993, Wall Street financier Louis Moore Bacon plunked down a cool $11 million for Robins Island, located off the coast of Long Island, New York. Bacon, 55, has reportedly invested millions in restoring the 445-acre island, including importing oak trees to preserve its natural habitat. When the hedge fund manager bought the island, he gave $1.1 million to the Nature Conservancy to monitor rare and endangered species on the island , which include Eastern mud turtles. The billionaire has also built vacation homes for his family, along with a helipad. After stepping in to help preserve undeveloped land on New York’s New Suffolk waterfront in June, Bacon is set to receive the Audubon Medal for environmental protection next January. The society, which has awarded the likes Walt Disney and Jimmy Carter in the past, is also honoring Bacon for his conservation work on Robins Island, and his properties in North Carolina and the Bahamas. About 18 years after transforming British Columbia’s James Island from an explosives plant into an exclusive island retreat, U.S. telecom billionaire Craig McCaw is looking to sell the property for $75.1 million . McCaw bought the 780-acre island located off the coast of Vancouver Island for $19 million in 1994 — the same year he and his brothers sold McCaw Cellular Communications to AT&T for $12.6 billion. On the island, the billionaire went on to build a 5,000 square-feet main house; six guest cottages; a pool; private docks; an airstrip and an 18-hole golf course designed by golf legend Jack Nicklaus. The grounds also house a library, gym and a general store. Power lines are buried underground throughout the island, electric vehicles are used and smoking is banned. The bursting of the dotcom bubble took a tool on McCaw’s finances, leading him to put the island up for sale in 2001 after his fortune dropped from $7.7 billion to $2.7 billion. The island was originally listed for over $70 million, but by 2003 the price had dropped to $49 million before the sale was halted. Some famous guests known to visit the island include music producers Quincy Jones and David Foster, and Microsoft founder Bill Gates. John Malone overtook Ted Turner as the biggest private land owner in the U.S. when he amassed 2.2 million acres in 2011. He now currently owns Sampson Cay, in the Exuma chain of islands in the Bahamas. The 31-acre island is home to a resort and marina, which was rebuilt in 2002. The cost of staying at the resort can go up to $8,000 per week. Little information exists about when Malone — the Chairman of Liberty Media, which owns stakes in QVC, and Sirius XM Radio — bought the island. Still, the media tycoon is one of several famous names to buy islands in the Exuma Cays, a 365-island archipelago. Other notable island owners include LVMH head Bernard Arnault, magician David Copperfield, and actor Johnny Depp, just to name a few. Mich Mathews, a former Microsoft executive, paid $11.5 million to buy a 12,000-square-foot Los Angeles home from Condé Nast Entertainment Group President Dawn Ostroff. The home was originally listed in 2010 for $16.5 million and then put back on the market last year for $12.8 million. The renovated seven-bedroom home sits on an acre in L.A.’s Holmby Hills neighborhood. The property also has a three-bedroom guesthouse, a pool and a screening room. Ms. Ostroff, former head of the CW television network, and her husband, a managing director at Lazard Wealth Management, sold the home after relocating to New York. The Ostroffs paid $10.7 million for the property in 2007. Ms. Mathews, who retired from Microsoft last September, is selling her Yarrow Point waterfront home near Seattle for $9.3 million. 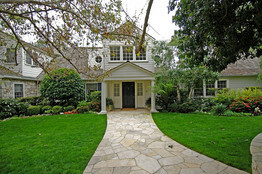 Kurt Rappaport of Westside Estate Agency represented Ms. Mathews in the sale. Linda May of Coldwell Banker represented the Ostroffs in the sale. Larry Williams of John L. Scott Real Estate has the Seattle-area listing. 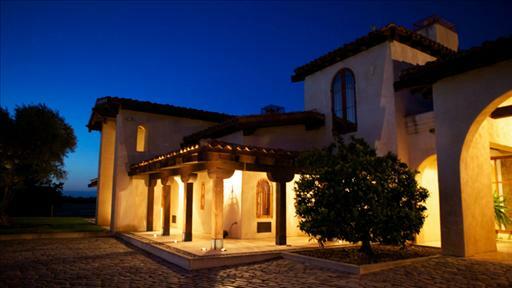 Mill Creek Ranch, a large estate near Sacramento, Calif., sells to a Texas oil and gas family for about $20 million. Lauren Schuker has details on The News Hub. Photo: Bill McDavid. Winemaker Kimberly Pfendler has sold her cattle ranch near Red Bluff, Calif., for roughly $20 million to G. Bailey Peyton IV, a Texas-based businessman with investments in oil and ranch real estate. Known as Mill Creek Ranch, the property spans more than 25,000 acres and is about three hours north of San Francisco. A 7,388-square-foot, three-bedroom Spanish Colonial house sits on the property, along with several guest and staff houses, a swimming pool and a spa. More than 15 miles of Mill Creek run through the ranch, including a salmon spawning ground. Ms. Pfendler’s late husband, Peter Pfendler, founded Polaris Aircraft Leasing and created the ranch in the 1980s by combining two ranches and two smaller parcels. The couple first put the ranch on the market in 2000 for $60 million but took it off several years later. Mr. Pflender died in 2007, and Ms. Pflender listed the property last year for $29.5 million. Bill McDavid of Hall & Hall, who represented Ms. Pfendler in the sale, says she is selling because she now spends most of her time at her Sonoma winery, Pfendler Vineyards. 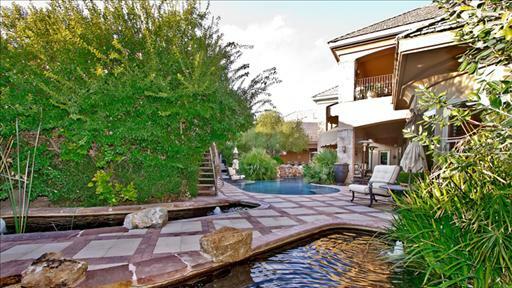 A Las Vegas home gets a drastic price cut, from $25 million to $6 million. Lauren Schuker has details on The News Hub. Photo: Luxe Estates Collection. A Las Vegas estate that originally came on the market for $27 million has been reduced to $6.9 million. The 7½-acre estate includes an 18,000-square-foot main house, a 2,000-square foot gym, a guesthouse and a large office building. The property is owned by Shane Kelly, an entrepreneur and commercial-real-estate investor. He put the home on the market three years ago for $27 million, then took it off two years later. It relisted in February for $12.5 million. He is selling because he is looking to downsize, says listing broker Zar Zanganeh, of Luxe Estates Collection. The latest discount was made in an attempt to sell the home within 90 days, says Mr. Zanganeh.